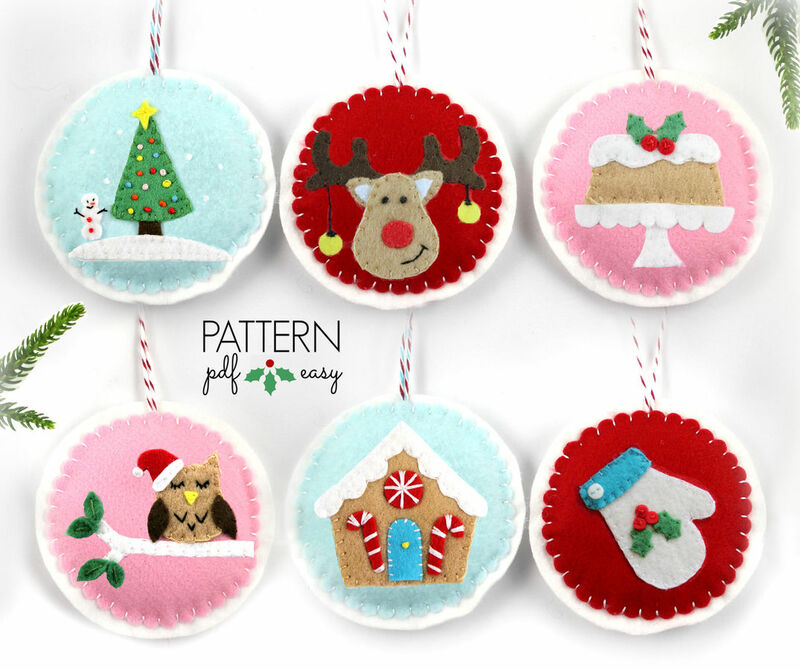 Christmas Ornament Set Sewing Pattern - Everyone will love these cute Christmas ornaments. All stitched by hand, they make the perfect sewing patterns for beginner/intermediate sewers. This listing is for a digital-download PDF-PATTERN. It is not for a finished creation. There are 24 Christmas Ornament designs available. Comprehensive PDF Pattern E-Book - includes materials list, step by step photos and instructions. Maisie Moo Sewing Guide - all you need to know about felt, stitches and the tools used in your pattern. As a beginner, I would allow 30 minutes to sew each ornament. Please note this is an approximate, as sewing time is very dependent on your sewing skills. Your pattern will include a full detailed list of required materials. ´¨) ¸.•´¸.•´¨) ¸.•*¨) (¸.•´ (¸.•` Happy Sewing!